Every company has to train their staff at some point to equip them with the right skills for success. eLearning is a rapidly growing market as skills become more specialized, and younger generations raised on digital learning enter the workforce. 50% of learners in undergraduate and graduate studies see no difference between online and classroom courses. It’s not because they’re lazy, it’s just how far digital learning has progressed thanks to video. Video maximizes content communication by stimulating visual and audio senses, thus maximizing information retention whilst minimizing seat time. Video is the medium of choice for mobile-based learning, the undeniable up-and-comer in eLearning that we’ll all be seeing more of in the near future. 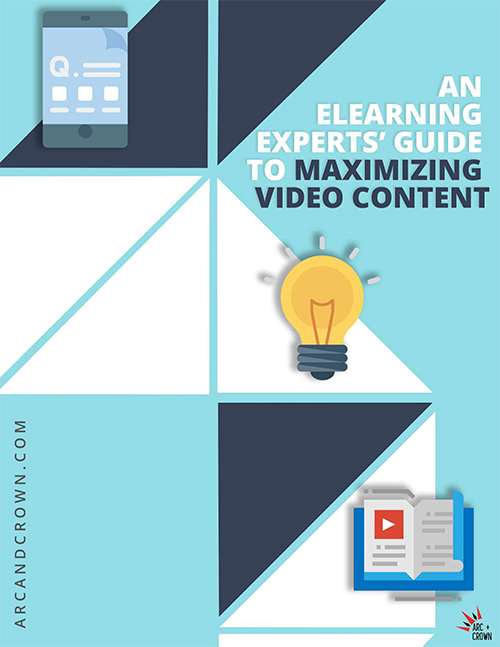 With our guide you will learn about how using video will supercharge your eLearning content.